Any 4WD parks besides Uwharrie in NC ? Yes right down by you. Any where good around Jacksonville... well any at all? thats cool i'll have to check that out next time i go to sunset beach. That place looks like fun. I have been trying to find somewhere close by to take my Jeep. When it warms up I plan on going there and seeing what its like. 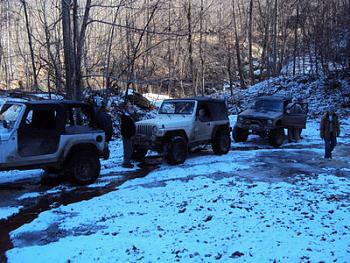 I hear Coal Creek in TN is a great place to wheel, but its like a 4-5 hour drive from URE. It is. A few members of the Durtyrok crew are headed out there April 21-24..